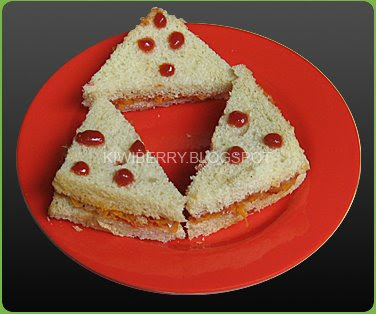 This dish is dedicated for all health conscious friends. 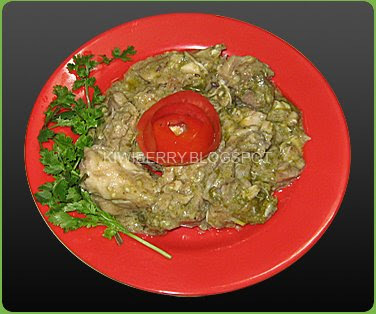 The main taste maker in this dish is mint, which is very good for digestion. More over this item is fully oil free. Clean and cut the chicken in to cubes. Marinate it with lemon juice, ginger & garlic paste and salt. Keep it aside for 10 - 15 minutes. Make a fine paste with mint, coriander leaves and green chillies with enough water. Mix this paste to the marinated chicken pieces. Add fennel seed powder and mix well. Keep this in refrigerator for 15 minutes. Cook chicken in a microwave safe bowl for 12 - 16 minutes. After 8 minutes stir it and add 5 tbsp corn starch. After 16 minutes the chicken become soft and has a thick gravy. This item is dedicating to all my "KID" friends. Even for elders, it goes well with any spicy side dish. Recommending this as a "lunch box" item. You can add or reduce the ingredients which your child like or not. Cut the chicken into medium pieces. Heat 2tbsp oil in a wide pan, add cloves, cardamom, bay leaves, cinnamom sticks in to it. Stir it for one minute, add the chicken cubes into it, along with 1/2 tbsp ginger garlic paste and turmeric powder. Saute it for 5 minutes for loosing the water content and absorb the spices to the chicken. Remove the chicken pieces from pan and add 3 tbsp oil in to the same pan and saute chopped onions and tomatoes, until the onions become brown in colour. Make into a paste. 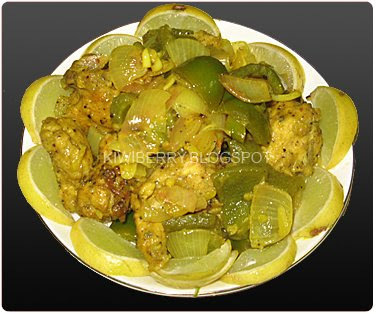 Heat oil in a Pan and add cumin seeds, when it starts spluttering, add asafoetida powder along with boiled potato cubes. Next add turmeric powder, chilly powder and coriander powder. Mix well. Add kasuri methi and keep close it with a lid for 2 minutes. Sprinkle sugar and serve hot. Heat oil in a kadai and saute chopped garlic, green chilly for few seconds in high flame. 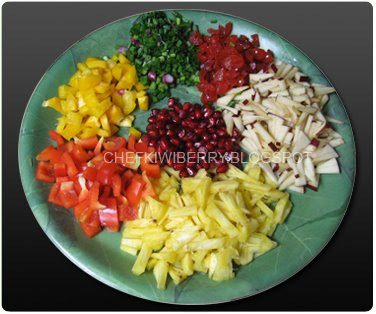 Add diced onions and capsicum, saute it till it become translucent. Put the sliced mushrooms and saute it till mushrooms are cooked. Add soya sauce, chilly sauce, tomato sauce and pepper powder. Close the pan with a lid and cook it for 5 minutes. Mix cornflour in 1/4 cup water and add in to it. Add salt. Mix all well. Add chopped spring onion just before putting off the fire. Serve hot. 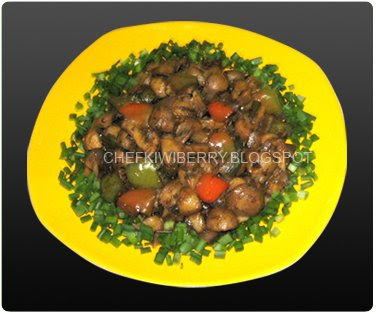 Clean and cut the chicken into small pieces. Marinate the chicken pieces with ginger garlic paste, turmeric powder and little salt, keep aside. 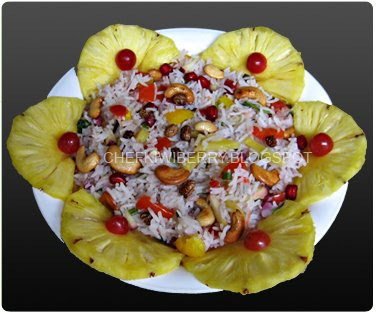 Take a frying pan, heat one tablespoon of oil and roast the grated coconut along with sliced onions till light brown. Add chilly powder and coriander powder, stir it for 2 minutes. Grind to a thick paste and keep aside. In a frying pan, dry roast cinnamon, cloves, star anise, cardamom, poppy seeds, carom seeds and cumin seeds till a nice smell comes out. Grind to a powder. In a thick-bottomed pan heat the remaining oil and saute the marinated chicken pieces till the water content gets evaporated. Add the grind coconut paste and the grind powder of spices, mix well. Close the pan with a lid and bring to a boil, stir in between. Pour the tamarind juice and simmer the flame, add salt to taste. Cook this till the chicken pieces become tender and the oil get separates. Add the nutmeg powder just before putting off fire. 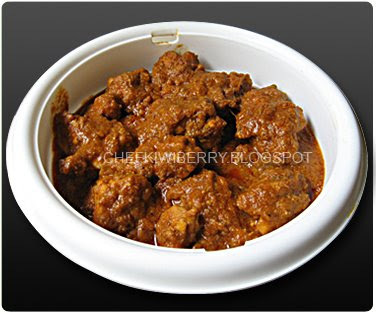 Serve with chapathi or rice. Peal ginger and cut into thin round shape. 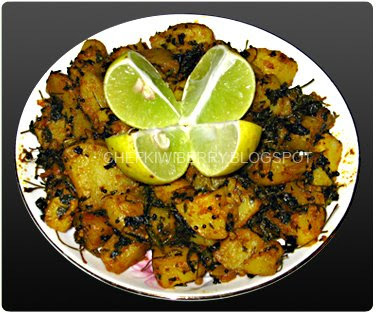 In a pan heat the oil and deep fry sliced ginger (ginger flakes) till golden brown colour. Take it out and keep aside. Keep this oil for saute onion and green chillies. Fry the grated coconut, when it become golden brown in colour, add chilly powder, coriander powder and stir it for another 1 minute in low flame. Grind this mixture along with fried ginger flakes and make a fine paste. Splutter the mustard along with curry leaves. Saute thinly sliced onions and green chillies till the onions become translucent. Squeeze the tamarind in 2 cups water and pour this in to the sauted onions and allow it to boil. Add jaggery, when it become thick add the grinded mixture in to it and add salt in to it. Keep this for 3-5 minutes in low fire. Serve with rice. 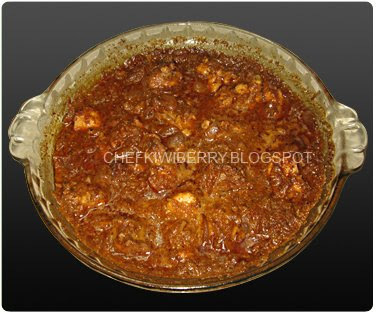 In a kadai mix all the ingredients and give a crush with your hand, except the season items. Close with a lid and cook this in low flame for 3 -5 minutes. When it is done, add 1 1/2 tbsp oil in another pan and put udin dal and mustard seeds. When mustard seeds start spluttering, add curry leaves and dried red chillies. 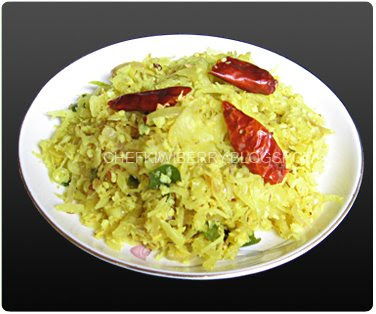 Put the cooked cabbage thoran into it and saute this for 2 minutes. Serve with rice. 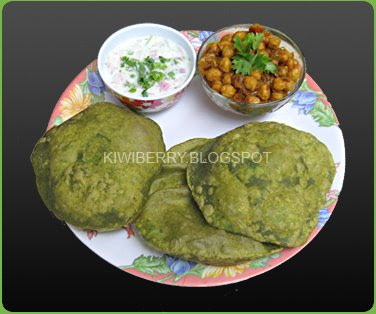 In a pan add 1 tsp oil and lightly fry the green gram ( make a light crush after frying , the skin will go. (It's optional)). 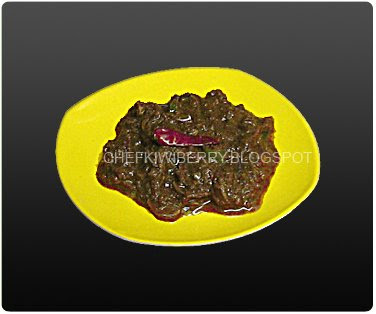 Pressure cook the green gram with 2 cups water, turmeric powder, small onion, and green chillies for 8 - 10 minutes. Mash this dal mixture and add grinded coconut, cumin seeds and garlic. Add salt. Mix well and keep in a low flame for 3 minutes. Stir it, don't allow to boil. Put-off fire and season. Serve with rice. Cut chicken in cubed pieces. Take a bowl and mix egg white cornflour, half of the said lemon juice, pepper powder, soy sauce and salt. Mix the cut chicken pieces into it and mix it well to marinate for 1/2 - 1 hr. In a kadai, heat oil for deep fry. put the marinated chicken pieces nad fry it for 2 min. Keep it aside. Take another pan and pour 3 tbs oil from the fried one. When hot, add chopped ginger and garlic, green chilly and saute it for a min in high flame. Next add diced onions and capsicum saute it for a min. Now add the fried chicken into it. Next add pepper powder and lemon juice , mix it well . Add spring onion and lemon zest and close the lid for 6-8 min in a medium flame. Stir in between. Serve it with tandoori roti, chapati or nan. 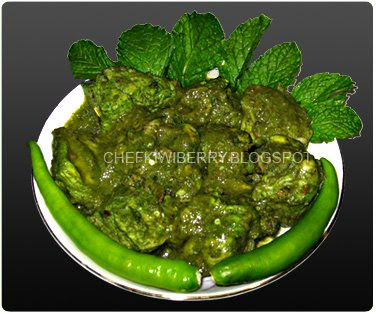 Pudina (mint)chopped 1/4 cup, grind it with 1 green chilly and 2 nos garlic.Keep it aside. In a kadai heat the oil and sourte garlic chopped, onion chopped. Till onions become translusent, put the tomatoes sourte it for 1 minute add pepper powder. Put off fire and keep it aside. Cut the bread in to diagonal half. Apply Pudina chutney for one halfand tomato sauce for another half. Spread the sourted mixture and shred the cheese in one pice and overlay it.Tost it in a sandwich toster. Grind all the biryani masala ingredients except 1,2,3. In a pan boil 2 cups water (2 cups rice needs 3 cups water.here we cook the rice its 3/4 time of the actual cooking.and remaining 1/4 cooking is with mutton curry) with the spices except lime juice and rice from the rice ingredients. Add rice and lime juice, stir well and close with a lid.When it done put off fire and keep aside. Heat oil in a Pan,add Cinnamon stick,Cloves,Cardamom stir it for a while, saute onions and ginger garlic paste till the onions become translucent.Put the chopped green chilly, saute it.Add chopped tomatoes saute it till the oil get seperated.Put chilly powder, coriander powder,turmeric powder, stir it for 1 minute.Add the cut and cleaned mutton pieces and mix it well with garam masala and fenugreek powder.Pour 1/2 cup water. Close with alid and cook it almost done (still has a bite left). Add the yogurt mix all together and keep it for 1 minute and put off fire. Take a pan saute the chopped palak for 1 minute.Grind this in a mixy.Put the wholewheat flour in a large mixing bowl add salt,grinted palak, enough water , mix it well to form a dough. Add 1 tsp oil in to the dough and kneed well till it become soft. Cover with a wet cloth now and keep aside for 15 minutes. Kneed once again before making the dough in to small balls,roll out into 5" rounds with a roller, on an oiled board. Heat the oil in a wok , fry the puri one at a time, holding them bothsides under the oil.This will help the Poori to puff up. Fry both sides till light brown. 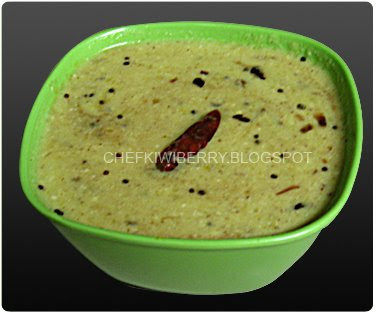 Serve hot with veg - kuruma,potato - stew or Cholae masala along with onion raita. Wash and cut the chicken in to medium pieces. 1.Make a paste of ginger , garlic, and green chillies, keep aside. 2. Chilly powder, coriander powder, cloves, cinnamon stick and cardamoms together, roast slightly and grind to a fine paste. In a kadai heat oil. Put onions and 1 paste saute till the raw smell goes (onions become translose).Saute chopped tomatoes for 2 minutes.Add chicken pieces,salt and turmeric saute them for 3 minutes.Add the 2 paste and mix well.Close with a lid and allow to cook for 10 minutes in medium flame.Stir in between.Add chopped coriander leaves, kus-kus and cashew nut paste.Mix well, allow for 5 minutes in low flame (cook well till the chicken become tender). 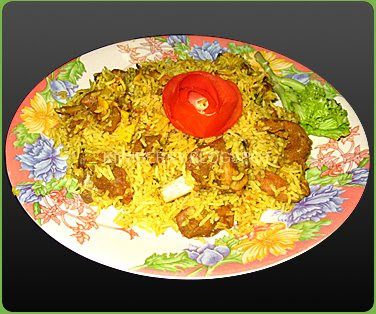 Serve with rice,pulav or roti. Clean and cut the chicken in to medium pieces. 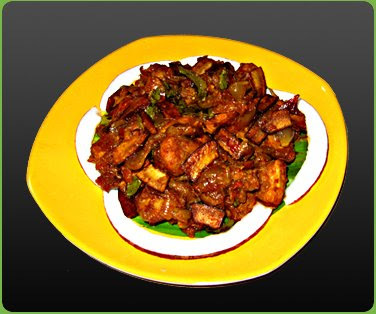 In a kadai heat the oil and fry thenga -kothu till it become golden brown, saute sliced onions and ginger garlic paste,till the onions become light brown colour. Add chopped tomatoes, saute for a few minutes. put chilly powder, coriander powder,turmeric powder and stir it till the raw smell goes. Add chicken pieces and curry leaves in to it and mix well. Close with a lid and cook in medium fire for 15 minutes. Stir in between. No need of adding water.After 15 minutes it become a thick consistency. Add pepper powder, garam masala and fennel seed powder stir it well and keep in fire for another 5- 8 minutes uncovered.It's a dry preparation. 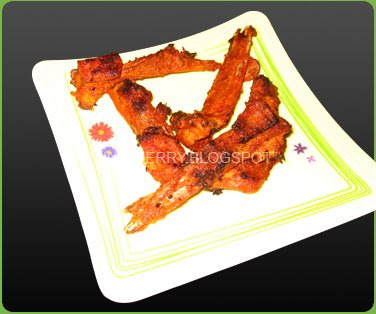 Remove from fire and serve with rice or chapathi.